Miranda has announced the promotion of three of the firm’s Managing Associates to the firm’s partnership. Maria Figueiredo, Rita Lufinha Borges and Rodrigo Rendeiro Costeira have been promoted in recognition of their expertise and success in developing and growing the firm’s tax, real estate, finance and projects practices. All three are currently located in the firm’s Lisbon office. The appointments bring the number of partners at Miranda to 23. "Throughout our 30-year history it has been the firm's goal to recognise the individual and professional achievements of our members. This latest round of partner promotions is therefore an acknowledgement of the continuing success and growing expertise and capabilities of our brightest young talent. Maria, Rita and Rodrigo have each been with the firm for a number of years and their elevation is a reflection of both the technical and human qualities we require and encourage in our lawyers. What is also very rewarding, is that the appointments affirm the strength and sustainability of the Miranda project. Each of the new partners builds on and grows the firm’s culture and expertise and further consolidates key areas of our practice. We are convinced that Maria, Rita and Rodrigo will contribute significantly to the firm's continued growth by further enhancing the quality and innovative nature of the work we do for our clients in Portugal and internationally." Maria Figueiredo has over 15 years’ practice experience and has been with Miranda since 2006. Her expertise lies in Portuguese and international taxation in which regard she provides commercial and disputes advice to clients from the oil and gas (both operators and service providers) and energy sectors, as well as in relation to real estate, banking and finance and M&A transactions. Maria’s practice is intrinsically cross-border and she is Head of Tax for Timor-Leste. She holds a Postgraduate Diploma in Taxation from Instituto Superior de Gestão (ISG) and teaches tax law. 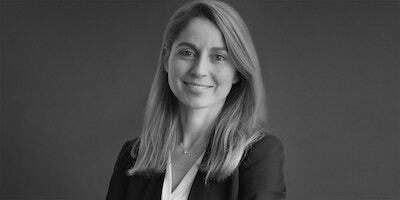 Rita Lufinha Borges has been with Miranda since 2007, having previously practised with another major Lisbon-based firm. Her expertise and practice focus lies in real estate, tourism, corporate transactions and the telecoms sector. She co-ordinates both the Miranda and Miranda Alliance real estate practice and regularly advises on cross-border deals. Rita holds a degree in Law from the Universidade Católica Portuguesa and two postgraduate degrees, in Corporate Law from ISG, and in Telecoms Law from the Institute of Legal and Political Sciences at the University of Lisbon. Rodrigo Rendeiro Costeira also joined Miranda in 2007 having also previously practised with another leading Lisbon firm. His practice encompasses banking and finance regulation, commercial and corporate issues, with a particular focus on facilitating foreign investment, M& A and project finance for clients in the oil & gas, energy, transport and telecoms sectors. Recent years have seen Rodrigo particularly active in cross-border deals across Africa through the Miranda Alliance, particularly involving Angola. He holds a law degree from the University of Lisbon and a post-graduate degree in Commercial Law from the Universidade Católica Portuguesa. All of the new partners are fluent in Portuguese, English and Spanish.